If you own a business buying and selling new and used cars, car dealership insurance may provide a vital lifeline – here’s how. 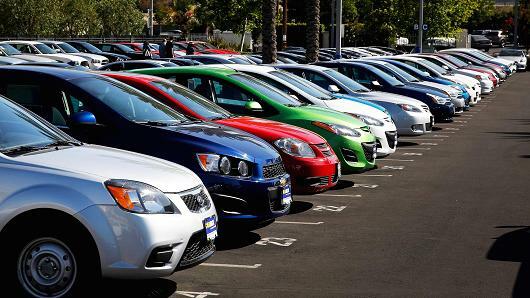 More than many another business, your premises, showrooms, workshops, and stock of new and used vehicles for sale is likely to represent a very considerable investment. You have no legal obligation to arrange car dealership insurance – although any mortgage lender is likely to insist on such cover if you are buying your premises with the help of a mortgage. Furthermore, just imagine the damage that might be caused if a fire took hold of your premises, they were flooded, hit by storms, an explosion occurred in the workshop, or you were the victim of vandalism and theft. Without the appropriate insurance for motor traders, your financial losses might very well spell the end of your whole business. Significant financial losses – again enough to sink your business – might be suffered if you are held liable for an injury or damage to the property of one of your customers, any other visitor to your premises, a neighbour or member of the public. Public liability claims such as this may assume very significant proportions, especially if physical injuries are concerned, so indemnity is commonly included in insurance for dealerships. Public liability insurance typically provides cover – against the claims themselves and the substantial legal costs invariably associated with defending them – for at least £1 million, and often considerably more. A further major liability for any employer comes from the risk of one of your employees being injured at work or doing a job that leads to his contracting a longer-term medical illness. Once again, claims may be substantial, and it is for that reason that the law demands that any employer has a minimum of £5 million employers’ liability insurance. Your employers’ liability cover may be incorporated into your motor trade insurance, and the certificate of insurance must be displayed and accessible to all employees and employers may be fined up to £2,500 for every day that the insurance has not been arranged. You are a car dealer, so the cars you have in stock, those awaiting sale and those which you might take in for repairs or servicing are sooner or later going to be driven by you or your staff on the roads or in some other public space. Just like any other vehicle, those you are driving for trade purposes must meet minimum legal requirements for at least third party insurance. The beauty of car dealership insurance, however, is that it grants you and any named drivers the ability to drive any car – yours or your customers’ – without needing to identify each one individually by its registration number. Provided your motor trade insurance is in place, and the driver is a named driver, any vehicle in your possession may be used – but for trade purposes only. That cover may also be extended to cars which your customers may wish to take out on the road for a test drive, whilst accompanied by one of the drivers named in your car dealership insurance documents.